Sunday AB allocation withdrawn but daily R introduced instead of Saturday only. Sunday Chalk Farm allocation introduced. - note all Sunday allocations were joint with Route 27B. 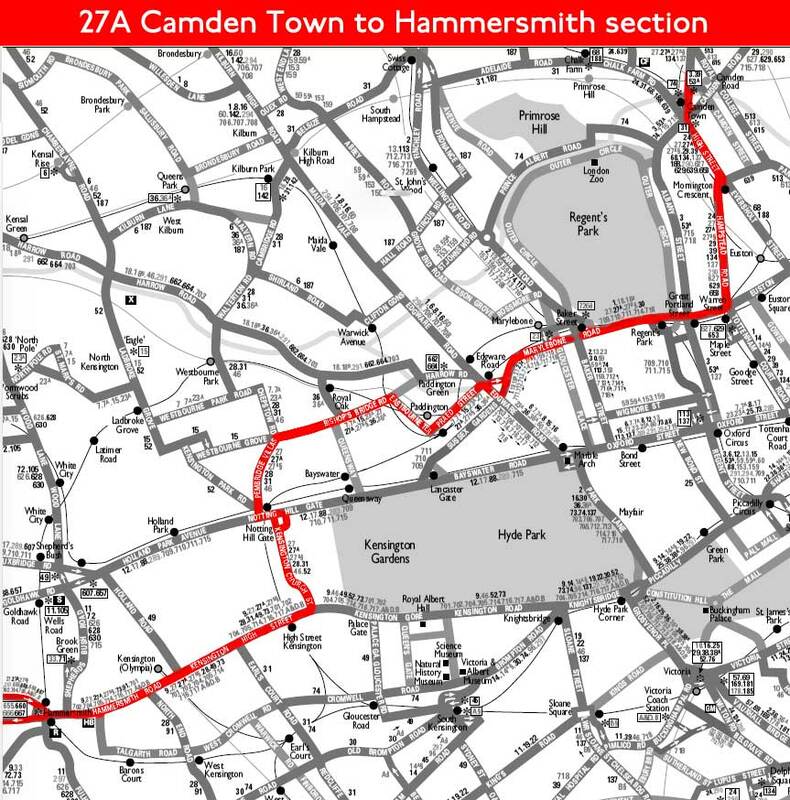 This pattern continued until 01.10.58 when the route was withdrawn - the Hounslow leg replaced by extending Route 73 on this day from Richmond to Hounslow. Garage journeys via Holloway Road. Garage journeys cease work at Met Station or Butterwick.